I sense it. I find myself daydreaming of the day that I can head out and do my homework in the lush green grass of a Seattle park. Then I take a break from daydreaming and remember the fact that SNOW has fallen from the Seattle sky multiple times this week. Then I go back to daydreaming. As much as I'm passionate about the home and everything that goes in it...I seriously love nature and find myself in awe of how amazingly designed this world is that we live in. For that reason, I am such a fan of bringing the outdoors in. 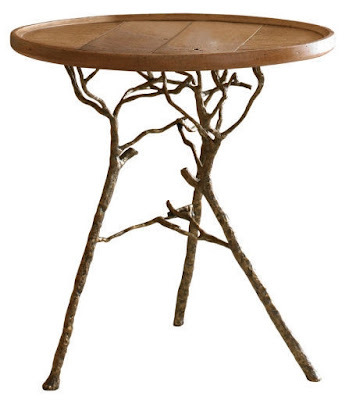 Not to create an outdoorsy forest themed room (gag me! ), but because I love how nature has that perfect mix of randomness, simplicity, and complexity--all in one. Why not bring some of that inside too? I love rooms that aren't too serious. And if you think about it, nature is far from serious. 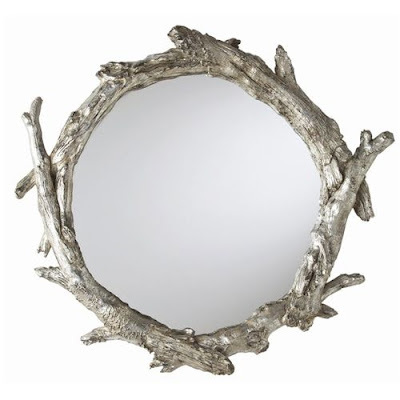 Which is why I think there is so much nature inspired home decor and furniture out there. So with that said, that brings me to my post title. Branchin' out. See what I did there? Branch!??!?! Aahah...aha. No? Okay. 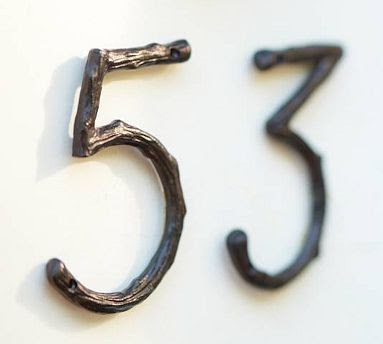 Branch house numbers...yes, just yes. This one above is more of a wedding idea, but how cute is that? 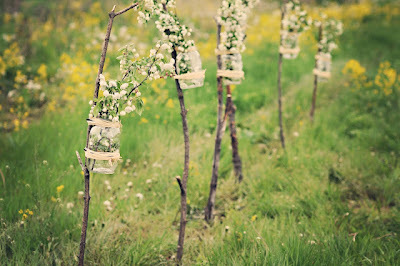 Mason jars tied to branches...such a simple but great idea for an outdoor wedding! Love it! That tree branch is just stuck through the shelf brackets and used for extra storage. So smart. 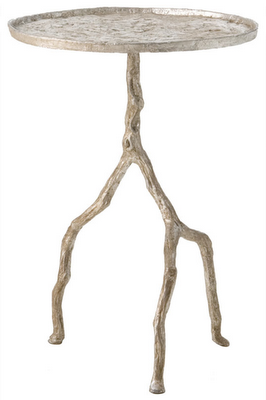 Do you use nature inspired things in your home? I think that although it's been pretty trendy these past few years, it can't really go out of style. I mean, it is nature, after all. I LOVE that little branch table... it has been on my wish list for a while! Happy Spring! I love the branch to hang the baby clothes! Such a cute idea! Love the branches to hang things on and the branches with the mason jars. Too cute. Love all of these! Also love how you described why you love nature "that perfect mix of randomness, simplicity, and complexity--all in one" - so true! 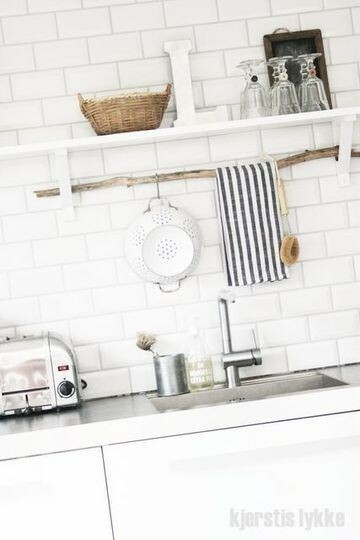 Love these ideas, thanks for posting! Given me some inspiration for this weekends projects.....I'm thinking some driftwood inspired mirrors!